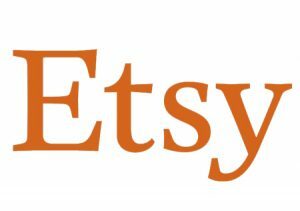 Etsy recently launched features sellers could use to promote free shipping offers and advised sellers today that shoppers are now beginning to see them. Etsy introduced free shipping badge on listings in search and on category pages, a free shipping search filter, and info about free shipping promotions on listing pages. Offering free shipping can help you spread holiday cheer this season. In September, we announced a new way to offer free shipping using the sales and coupons tool. We also told you about a few ways we’re making it easier for buyers to see that a listing ships for free, including a free shipping badge on listings in search and on category pages, a free shipping search filter, and info about your free shipping promotion on the listing page. Shoppers are starting to see the new badge and search filter. Listings that ship for free are included whether you offer free shipping using a sale or a shipping profile. Shoppers will also see details about your free shipping offer on each eligible listing, including details about any minimums. All shoppers will be able to see free shipping offers by October 16. A quick heads up: Free shipping offers and percentage-off discounts can now be combined. For example, a shopper could save 10% off your item through a sale, and get free shipping using a coupon code. But shoppers can’t combine the same kinds of discounts. For instance, they can’t save 10% with a coupon and get another 20% off through your sale. Review your promotions to make sure they’re working together for your business goals. Learn more about how free shipping works with other discounts here. Does Etsy charge a FVF which includes the price of the shipping like Ebay?